Background: NAC, as a unique transcription factor to plants, plays important roles in multiple biological functions, such as regulation of plant growth and development, hormone levels, and responses to various kinds of stresses. However, there is a lack of research of NAC genes in Chinese herbs. Objective: The study aimed to evaluate the potential functions of NAC genes in Scutellaria baicalensis by bioinformatics and expression analysis, and provide evidence of the molecular regulation mechanism involved in flavonoid biosynthesis in S. baicalensis. Methods: The genes of NAC transcription factors in S. baicalensis were obtained from cDNA library and their functions were explored using bioinformatic methods. The NAC genes were screened from the cDNA library of S. baicalensis using BLAST comparison software. Then, the open reading frame (ORF) finder online tool was used to predict the full-length ORFs of NAC genes and their protein characteristics were explored by bioinformatic methods. The expression of NAC genes was then detected by quantitative polymerase chain reaction in different parts of S. baicalensis and different leaves treated by gibberellin GA3 treatment. 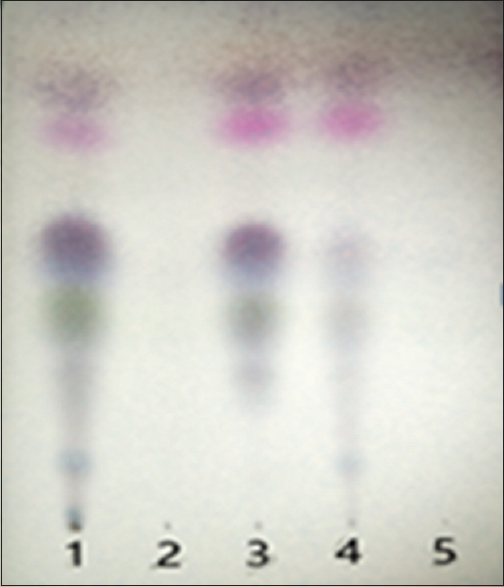 Results: Six genes of NAC transcription factors were cloned, two of which had complete ORFs. NAC genes cloned in this study were mainly expressed in the flowers of S. baicalensis. The expression levels of NAC2, NAC3, NAC4, NAC5, NAC6 were increased firstly and then decreased gradually after 100 μM GA3 treatment. Meanwhile, some NACs and PAL2 in S. baicalensis showed strong correlation. Conclusion: This study suggested that NACs cloned in this study were mainly regulated the flavonoid biosynthesis in the flowers of S. baicalensis; NAC6 in S. baicalensis might be involved in the regulation of PAL2 transcription and affected the accumulation of flavonoids in the root of S. baicalensis. Our results provided a basis for further understanding the molecular regulation mechanism of flavonoid biosynthesis in S. baicalensis. Objective: To investigate the network pharmacology of anti-tumor Chinese medicinal formulae and explain the synergistic mechanism of various active ingredients of Chinese medicinal formulae. Methods: We collected the anti-tumor Chinese medicinal formulae and chose several single herbs with the top frequency for further study. The chemical constituents of these herbs were downloaded from databases CNPC and Traditional Chinese Medicine Systems Pharmacology and were analyzed to set up the anti-tumor material basis. The genes regulated by these constituents were retrieved in Traditional Chinese Medicine integrated database and Comparative Toxicogenomics database. 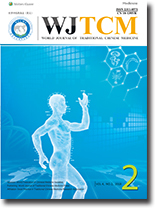 Results: We collected 65 anti-tumor Chinese medicinal formulae, and 4 single herbs were selected, including Licorice, Radix astragali, Panax ginseng, and Radix scutellariae, which consist of 172, 70, 293, and 92 known constituents, respectively. The constituent–gene network, protein–protein interaction network, gene–pathway enrichment network, and gene–disease network were constructed. Moreover, molecular docking was employed to clarify the interactions between active constituents and key drug targets (PTG2, epidermal growth factor receptor, peroxisome proliferator-activated receptor gamma, estrogen receptor 1, mammalian target of rapamycin, AKT1, mitogen-activated protein kinase 1 [MAPK1], peroxisome proliferator-activated receptor alpha, and MAPK8). Most of the constituents could act on multiple targets, whose structures mainly belong to alkaloids, flavonoids, and their glycosides, organic acids, or dianthrone, and their representative chemical constituents include narcissus glycosides, rutin, dauricine, scutellarin, baicalin, isoschaftoside, and leucovorin. Conclusion: The network mechanism of the effective constituents from traditional Chinese medicines (TCMs) for anti-tumor therapy was partially uncovered by using statistical methods, network pharmacology methods, and molecular docking methods. This study will provide important information for new drug design with multiple targets for anti-tumor therapy. Objective: The objective of this study is to study the best inclusion technology of Lavender- and fennel-mixed volatile oil by beta-cyclodextrin (β-CD) and characterize the final product thereafter. Methods: Using the saturated water solution method, the volatile β-CD inclusion complex was produced. The effect of volatile oil weight ratio, inclusion temperature and inclusion time on the inclusive quality was studied by measuring the yield of inclusion and inclusion rate of volatile oil as evaluation indexes. The preparation method of inclusion complex was then optimized by the Box-Behnken response surface method. The inclusion complex was characterized by ultraviolet spectrophotometry, thin-layer chromatography, thermogravimetry and differential thermal analysis, and the microscopic imaging method. Results: The optimized conditions were the weight ratio of β-CD to volatile oil was 8.13:1 (g/ml). The inclusion temperature was 44°C. The inclusion time was 1 h. Conclusion: We were able to produce an inclusion complex with high inclusion rate of volatile oil and high yield of inclusion using the preparation method mentioned above. Furthermore, the method can also improve the stability of volatile oil in abnormal savda munziq. This study can provide a good reference for the development of new preparations. Objective: The objective of this study is to investigate the inhibitory effect of LXHY, a Chinese medicine compound formula, on choroidal neovascularization (CNV) and to find the possible working mechanism. Methods: CNV was induced in C57BL/6 mice by krypton laser and bone marrow-derived cells (BMCs) isolated from enhanced green fluorescent protein (EGFP) transgenic mice were injected through tail vein 0.5–1 h after the laser surgery. The BMC-treated mice were randomly divided into two groups gavaged with either distilled water (DW group) or LXHY formula solution from day 1 after laser surgery. On days 7, 14, and 28 after treatment, histopathologic examination, fundus fluorescein angiography, and choroidal flatmount assay were performed to measure the CNV severity and BMC recruitment. CXCR4 levels in peripheral blood were measured by enzyme-linked immunosorbent assay. 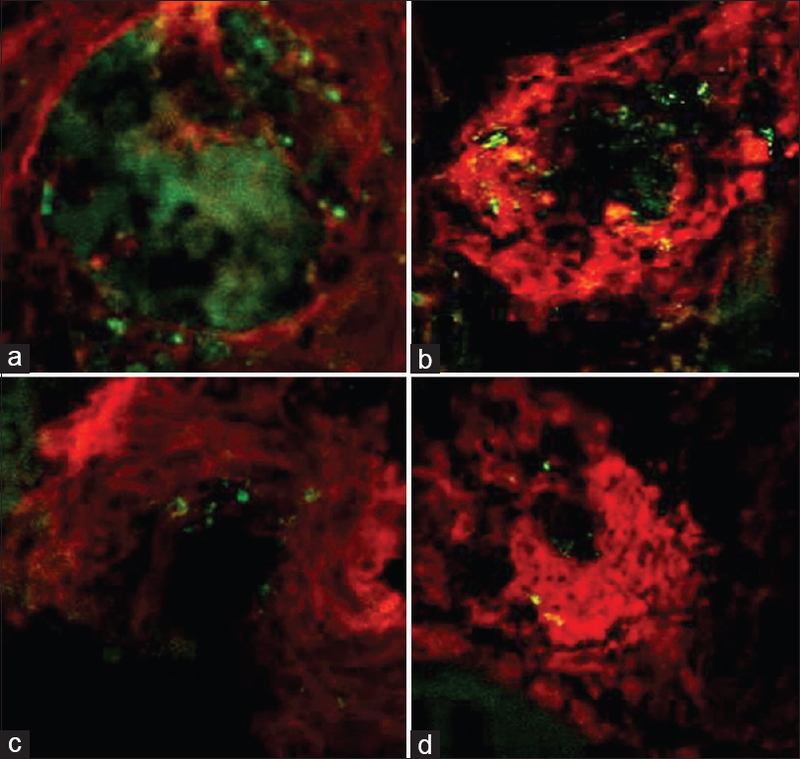 Stromal cell-derived factor-1α (SDF-1α), vascular cell adhesion molecule-1 (VCAM-1), and intercellular adhesion molecule-1 (ICAM-1) were detected by immunofluorescent staining. Results: On days 7 and 14 after treatment, CNV lesions in the LXHY-treated mice showed less recruitment of BMCs and were smaller in size compared to DW-treated mice. Histological examination also confirmed less severe CNV lesions in the LXHY group. CXCR4 levels in peripheral blood in the LXHY group were less than that of DW group on days 7 and 14. Moreover, the expression levels of SDF-1α, ICAM-1, and VCAM-1 at the lesion sites in the LXHY group were lower compared with the DW group. Conclusion: This experiment indicated that LXHY formula could inhibit CNV formation and development, probably by inhibiting the recruitment and attachment of BMCs into CNV area. Objective: The objective of this study is to investigate the inhibitory effect of peony and licorice decoction and its compatibility components on the Nav1.4 voltage-gated sodium channels (VGSCs). Materials and Methods: Writhing test was carried out with ICR mice. Paeonia lactiflora and Glycyrrhiza uralensis group were administrated 0.2 ml of solution of freeze-dried powder dissolved in normal saline with the concentration of 2.94 mg/ml, 1.47 mg/ml, and 0.74 mg/ml using intragastric administration, respectively. Peony and licorice decoction groups were administrated 0.2 ml of solution of freeze-dried powder dissolved in normal saline with the concentration of 5.89 mg/ml, 2.94 mg/ml, and 1.47 mg/ml using intragastric administration, respectively. For electrophysiology studies, each freeze-dried powder was dissolved in DMSO to make 10 mg/ml and 50 mg/ml stock solutions. The electrophysiological recordings were obtained under visual control of a microscope. For UPLC analysis, the freeze-dried powder was dissolved in methanol and then determines the contents of the nine marker compounds. 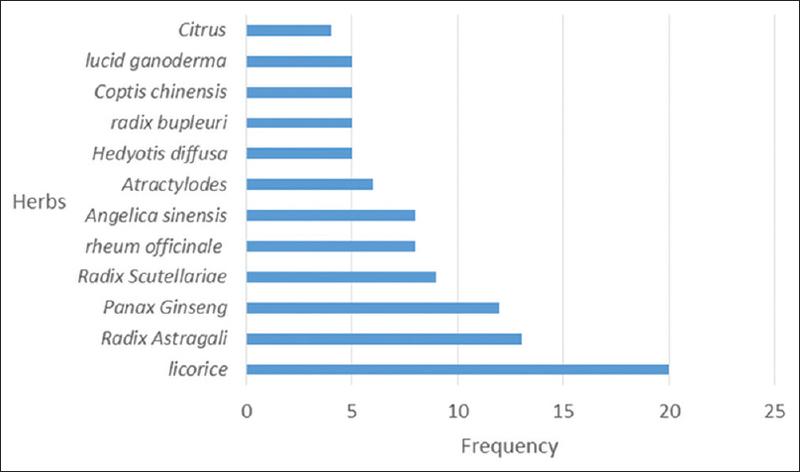 Results: The effect of G. uralensis on incubation period and writhing frequency was significantly better than that of peony and licorice decoction group and P. lactiflora group. The inhibition rate of 50 mg/ml water extracts of the three samples was significantly higher than that of the 10 mg/ml group. 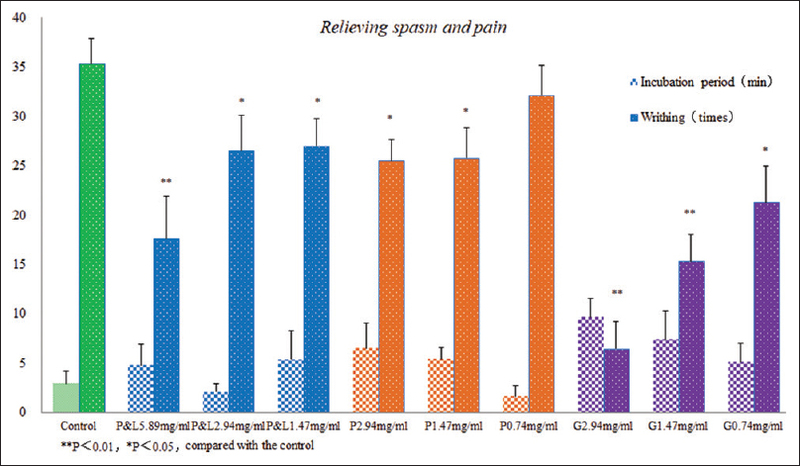 Moreover, the water extract of G. uralensis at 50 mg/ml had the strongest inhibitory effect on INav1.4 of the three. Conclusion: The possible mechanism of peony and licorice decoction in relieving spasm and pain is most likely by inhibiting Voltage-Gated Sodium Channel Subtype 1.4. Online since 28th Sep 2017.